The Full Spectrum Kavalactone Paste is our strongest product available. While our older Kavalactone 55% paste contained just 6 isolated kavalactones, this Full Spectrum Kavalactone Paste contains all 18 kavalactones that occur naturally in the piper methysticum plant. 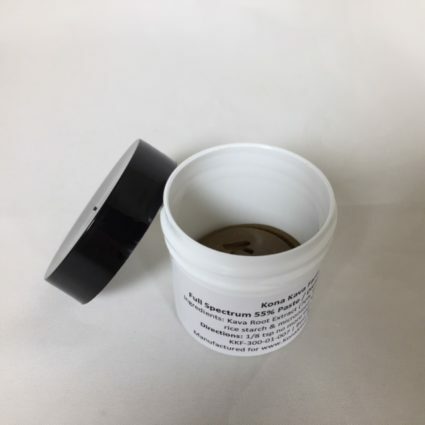 This Full Spectrum Kavalactone Paste 55% is one of our favorites, and has been re-formulated for an even better experience and more softer consistency. Naturally promotes relaxation and helps ease the mind from daily stress. * This is our latest kava kava paste product and due to our reformulation is now the strongest Kava product we offer. Despite that, we still offer it at the same price as our Top Selling Kavalactone 55% Yellow Paste. Using supercritical C02 cold extraction technology, the paste is not only made exclusively from the roots, but crafted as a FULL SPECTRUM 55% extract, rather than an extract consisting only of isolated kavalactones. The serving size is also just 1/8th of a teaspoon (serving teaspoon is included), making it easy to carry with you anywhere, for a quick serving of Kava wherever you are. Mixes great with smoothies, can be dropped onto ice cream, but most often, our customers tell us that they either use this as a booster to their powdered Kava drinks or to their instant Kava mixes, or, they just eat it straight from the jar. Whatever you choose, this is an extraordinary Kava experience that will numb your mouth just a bit upon first ingestion. That’s normal and also a clear sign that the Kava is not only genuine, but strong as well. Want the Kava Crash Course? – Read our “Where to Begin With Kava?” article! Find out how easy it is to wash away anxiety and stress with Full Spectrum Kavalactone Paste. This all-natural anxiety relief and stress buster can have some surprisingly effective effects. Knowing it’s a pure and full spectrum extract with no harsh chemicals used anywhere in the process, brings peace of mind as well. Instead of isolating the Kavalactones, this product retains the original spectrum of plant materials, just in a super-concentrated form. This is a personal favorite and one I’m very proud to offer here at the Kava Marketplace. Directions: Use the included dosing spoon for an accurate 1/8th teaspoon dose. That will yield exactly 155mg of Kavalactone. That means you should take this product no more than twice daily as the recommended daily dosage is 290mg. Two servings of this product is slightly over that at 310mg, so please use with caution. Maximum period of daily use: 3 months. Use may resume for 3 months after a 2-week break. Is this good for insomnia? Yes! It helps with calming the noise in my brain so I can actually relax and fall asleep. Great product, any thoughts on how to infuse it in a dairy product or cocoanut milk drink for a traditional kava drink? Works as described, anybody got a suggestion on receipes? I just went for the straight swallow. Full Spectrum paste rocks….no need to consume liquids….unless you want to wash it down with water or fruit juice…kicks in in minutes and it’s awesomely relaxing. It helped me through some rough withdrawal symptoms for both alcohol and benzos in the past….truly a life saver in those instances. All I can say is wow! Personally, I believe the paste is the best way to experience kava. Flavor is gentle and the calming/ anti anxiety effects are exactly what I’ve been looking for. Thank you, I feel normal again! What is the difference betweek the Full Spectrum Paste and the other past? The Full Spectrum Paste is an extraction from the roots that retains all of the lactones contained within the plant. The Kavalactone Paste is focused on the 6 major Kavalactones, and has less of the original “personality” and original compounds in the plant. Some prefer the major 6 Kavalactones, and some prefer to have as much of the original plant components preserved. Autistic: My nervous system is so grateful! THANK you to Kona Kava Farm for this plant friend in paste form. I’m a 60 year old autistic whose nervous system is in constant “freeze” /hypervigilance. and has worn me down all these years. 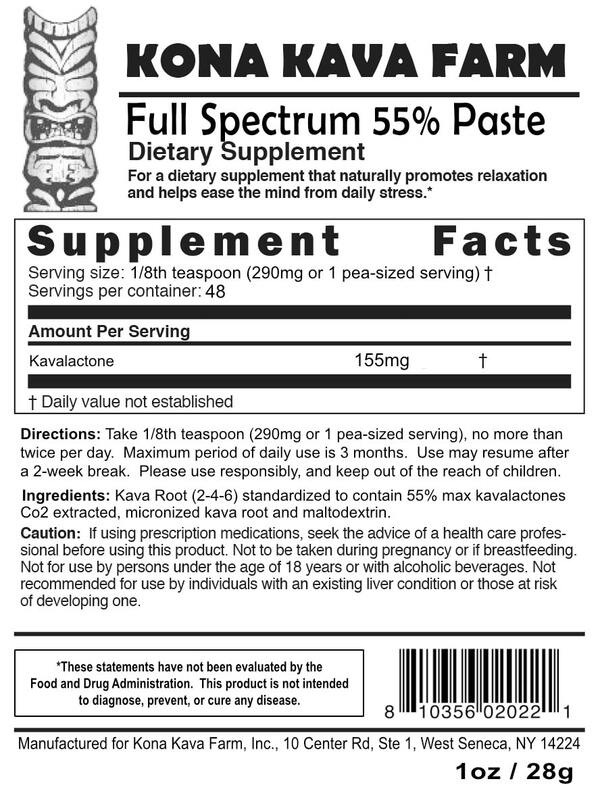 The full spectrum paste is my first use of Kava. and has soothed my nervous system into a calm and peaceful state. I put the little ball in my mouth and allow it to dissolve over a few minutes. some folks talk about kava anxiety rebound. yet I feel what is occurring is that the body is simply returning to our baseline anxiety. THis paste is my first adventure with Kava. and I will continue to use this as long as am able to purchase it. This kava full-spectrum paste has absolutely changed my life after dealing with both chronic pain and anxiety since a major accident in high school. I was given tons of different pharmaceuticals that left me literally in a daze… I wouldn’t remember anything of what happened during that time, which is terrifying. This kava has not only eliminated all of these medications from my regime but has also helped my flare-ups of back pain immensely. Thank you guys for such an amazing product, you’ve made my everyday life livable again! It’s always such a joy to read positive stories such as yours. We’re not allowed to make any statements that would imply that any of our products are replacements for pharmaceuticals, but it’s always such an amazing thing to hear from our customers. Thanks for taking the time to share the good news! Decent but side effects for me but not others. Overall is is really good. BUT, for me I cant take it anymore. Others loved it and will continue to take but for me I get really bad stomach/gastro discomfort. But overall its a good product. Amazing product & Amazing company! I recently purchased and received the Full Spectrum Paste and I am beyond satisfied with this product, as well as how helpful and friendly the staff here are! I had to contact the staff right after I placed my order because I realized I had made a typo on my shipping address and they immediately got back to me and corrected it! Furthermore, I had originally just ordered the 55% Kavalactone Paste, and later decided I would rather get the Full Spectrum, so again I emailed them and they had no issues whatsoever switching my order for me! I look forward to the next time I purchase a product from here because I know it will be high quality, as well as effective, and I know I’m dealing with a company who has an exceptional and friendly staff! I recently purchased the Kavalactone paste. I love it. I got exactly the experience I wanted! Relief of anxiety and the first good night’s sleep in a long time. Two years ago I fell down stairs and crushed almost ever bone in my face. I went face first into a cement floor. It’s been a long road of reconstructive surgeries pain and anxiety /insomnia. No prescription drug was working anymore. I feel like I can finally relax. Thank you! I would also like to ask your advice about a kava that is easy to use but doesn’t pack quite so much of a punch. Iike the paste for nighttime but would like something for days or social situations. I’m so grateful I found your site! It is wonderful to hear that you have been able to use kava to assist you with your recovery. If you want something other than the kavalactone paste for daytime use, I would recommend one of our tincture products. Tinctures are easy to use and are also available in 2 different strengths; Regular and plus. Both of these products will not induce drowsiness making them good for daytime use. If you have any further questions, feel free to contact us at shop@kava.com. Thank you so much for he kind words. I’m happy to hear that you enjoyed the product and had a pleasant buying experience. If you decide to purchase from us again use the coupon code ‘loyalty10p’ to get 10% off your next purchase. Hope to hear from you soon! I just wanted to say thank you all so much for this product. It works wonderfully in tandem with my antidepressant medication and keeps me away from opiates and alcohol. I use it every day. HI i just received this product and am wondering how long you leave it under your tongue for? Thank you! The kavalactone paste can be left under your tongue for a few minutes to a couple of hours. I personally like to place in inside my lower lip (it stays in place easier that way) for an hour or so and then swallow it. Kavalactones from the paste will continue to slowly release as it sits in your mouth, so its a good idea to either swallow or spit the paste out once you feel sufficient effects. This was my first time using a kava concentrate paste as opposed to a tincture or a powder, and I was not disappointed. 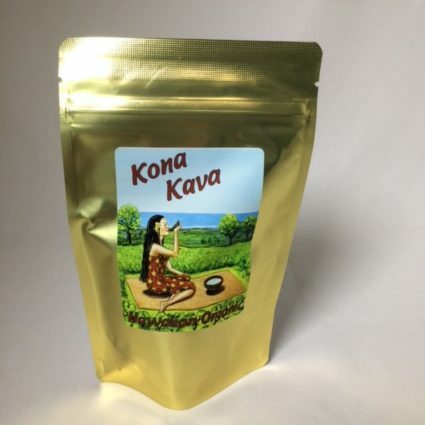 I have to admit, I found the traditional kava powders a bit of a chore to do at home, and the taste was never my favorite thing either, but this product makes everything in both of these departments much, much better. First of all, I wasn’t sure what consistency to expect from this paste, but it was very plasticine, ie. not sticky at all, so I could neatly remove the spoonful serving from the spoon and use my fingers to ball it up into a little round which I then let dissolve in my mouth. I was worried that the taste of a concentrate would be super strong and unpleasant, but I felt like one serving of this paste was actually less strong tasting than a normal bowl of traditionally prepared kava. You can also blend it into something like peanut butter or chocolate fudge! There’s an immediate numbness and mental relaxation, not too strong (like I’d worried), just right. This was probably my favorite product of all the things I’ve tried so far off this website, two thumbs up! Thanks for sharing your experience, so glad that you enjoyed the paste! I bought and had this shipped to my brother in another state and he said he loves it. He actually enjoys eating the paste plain by putting a small amount in his mouth. I’ve never tried the paste before but now will order some for myself. My brother uses it to relax as he is a recovering addict. It has saved his life. Thank Mother Earth for her healing plants. So glad to hear that kava has been a positive solution for your brother! Feel free to email us at shop@kava.com if you have any question before making your next purchase! Wow, I didn’t have too high of expectations of this coming in, but I wish I would’ve found out about kava sooner. It’s helped better with my anxiety than any prescription I’ve ever been on has. Don’t expect to get “high” off it, although the experience is usually pretty pleasant and relaxing. Is this made using certified Nobel kava? Also, where is the root from? And what would be the chemotype of this paste? Oh and, how many servings in a half ounce? Our Full Spectrum Paste is created using kavalactone extract from Hawaiian noble kava root. The kavalactone lineup is our signature 2-4-6 which makes it perfect for daytime consumption. The 1/2oz container will provide you with approximately 25 doses. Everyone here at Kava.com agrees with you wholeheartedly, Daniel! Thanks for taking the time to share and to review what is my personal favorite! I am new to the kava world. I have been doing reading and am going to purchase the paste, but my question is how long do the effects last? LOVE this Full SPectrum paste! my first experiences with Kava. and I am most grateful for this plant friend. may I make the entire container into little balls at one time, and store them in the container? if each eighth of a teaspoon is 155mg and we ought to only be consuming up to 290mg a day, then may I just make my pea size a tiny bit smaller to stay within that range? if so, do you know what that measurement is, using a scale? thank you and many blessings for all. Oh wow, that is longer than i expected. I am Super excited. Thank you. The effects from kava generally last for 4-5 hours after it is taken. 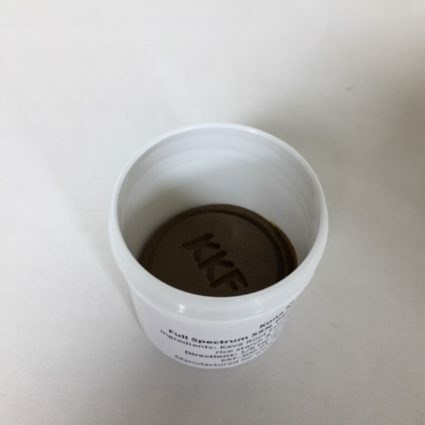 When taking the paste, you will feel effects very quickly (mouth numbness and a general feeling of relaxation) and these effects will gradually subside over the course of a few hours. How is are the active ingredients in the “Full spectrum kavalactone paste” extracted? I read that there are some nasty solvents that are sometimes used in the extraction prosses of non polar molecules. I’m no tranger to chemistry and extractions and you have to have pretty incredible skills and near perfect conditions to get 100% of all of a solvent out of an extraction. I am curious to know how this product was made. I’m hoping it was done via CO2! Thanks for your time! Our paste is created using supercritical CO2 extraction technology. Not only is this this method considerably safer than using a hydrocarbon set up, it also gives us more control over the final product. Great way to enjoy Kava in this busy world. Just finished out my first container of the stuff. I know that the paste isn’t the traditional way to explore kava, but as a young professional I have found it a convenient and relaxing addition to my day. I’ve dealt with anxiety in the workplace for some time, and a little bit of this paste under my tongue at the end of the day has helped to provide clarity and calmness in my thoughts as I look back on my day. The taste is strong, but good. I encourage any fellow curious travelers to give this product a try. You won’t be disappointed. Could this be mixed into various beverages (tea/juice/water/almond milk)? How many servings are in the 1oz bottle? Ordinarily the paste is taken by placing a small piece under your tongue and allowing it to dissolve. However if you prefer to blend the paste with a drink you may also do that. I would recommend milk or some sort of a chocolate drink to produce the best taste. Glad to hear that the paste has been working for you! You are correct to point out that it isn’t the most ‘traditional’ form of kava, but for convenience and efficiency you cannot go wrong with the paste. I like this paste because its strong and I can take it with me where ever I go when I need it. And it’s very convenient if you don’t have time or dont like preparing kava the traditional way. I put some under my tongue and relax. I use it a lot at work when i am stressed out or feeling anxious. Good buy. So simple and easy to use and the benefits are truly amazing! Not a big fan of the taste but the calming effect I get for my anxiety definitely worth it. Will purchase again! Kava definitely can be an acquired taste, but if you stick with it, I promise you that you may actually come to like the flavor (eventually)! We do our best to come up with unique blends that help make the Kavalactone Paste more palatable, but it is our strongest product, and the stronger the product, the stronger the taste as well. Either way, thanks for taking the time to comment, and we hope to see you back! Excellent product. Performs just like a traditional brew. Just got mine and will be returning for more when it’s gone. I have suffered for many years with anxiety and muscle pain, and this is the first non-pharmaceutical product I have found that actually helps with my symptoms. After ingesting, I had a noticeable feeling of calmness, and the muscle spasms subsided. I was alert, relaxed, and at ease around other people, which is a big deal for me. Now, every person is different, and others might not have the same experience I had, but for me, it worked perfectly. I will definitely be buying again in the future! How do u take this? The answer is… It’s really up to you! We recommend sublingually – dissolved under the tongue – or placed between your gum and lower lip. Some people find this more useful as the product is supposed to be let to dissolve in your mouth for around 20 minutes, so it can make talking with others more difficult while under the tongue. However, we have also heard from customers that simply swallowed the serving size like a small pill who have claimed it produces the same effect. You may also dissolve the paste in a beverage of your choosing. It really is all up to your preference! I bought this product and find it is a very good muscle relaxer. I use a prescription pain reliever and when I cut back on the dosage my muscle’s jump and twitch, it is very uncomfortable especially at night. This Kava paste calm’s them down and allows me to easily cut back. I really like this product. Glad to hear that the paste is working for you Scott! Although we’ve heard a similar sentiment so many times in the past, it’s always thrilling to hear how Kava has helped someone else escape muscle pain and anxiety from just one natural herbal product.